Our Mount Vernon Pest Control Exterminator will identify the source of the pest infestation and create a customized treatment plan to eliminate the pests. 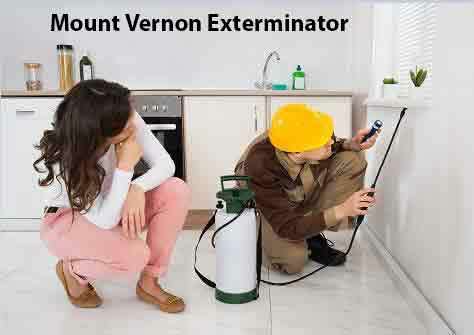 Let us be your Mount Vernon Exterminator that you can Depend On, Give Us A Call Today. 1-844-305-8999. The two most common types of Cockroaches found in Mount Vernon NY are German cockroaches and water bugs, also known as American cockroaches. Most Water Bugs measure more than 2 inches long. Cockroaches are both unpleasant and unsanitary. Because Cockroaches and Water bugs dislike light, they disappear during the day time into dark places, including the undersides of appliances like stoves and refrigerators, underneath sinks or other installations, near plumbing, inside light switches and behind wall paneling or doorjambs. There is never just one Cockroach or Water bug, wondering how to get rid of your cockroach infestation call our Mount Vernon Exterminator at Dependable Exterminating. Rats are widespread in Lower Westchester County NY, as they are in many densely populated areas. In Recent Years Mount Vernon, New York, has been plagued with rats. The most common Rat in Mount Vernon NY is the Norway Rat, which can grow over 16 inches in length and can weigh upwards of 2 lbs. Rats can carry up to thirty-five diseases that humans are susceptible to, which is another reason to eliminate them as soon as possible. If you have Rats and would like them eliminated, Give Our Mount Vernon Exterminator A Call Today. Silverfish in Mount Vernon NY are known for their destructive feeding habits. Silverfish have a fish-like appearance and their bodies are covered with shiny silver scales, Silverfish are found in areas with high humidity. They need a relative humidity of at least 75% to survive. The most common areas where we see silver fish in your home or place of business is in the kitchen, pantry restrooms and closets. Silverfish feed primarily on things that contain starches. They are attracted to glue, for this reason they will damage book bindings, paper, sugar and textiles. Silverfish can destroy silks, cotton and other fabrics and may feast upon leather in the event of a famine. If you have a Silverfish Infestation, Our Mount Vernon Exterminator has the know how to eliminate your Silverfish Infestation.